Help kids build character to last a lifetime. 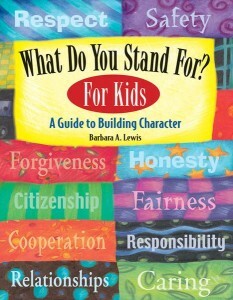 Even elementary school children can build positive character traits like caring, citizenship, cooperation, courage, fairness, honesty, respect, and responsibility. The true stories, inspiring quotations, thought-provoking dilemmas, and activities in this book help kids grow into capable, moral teens and adults. Previously titled Being Your Best, this award-winning book is for kids and their parents and teachers.